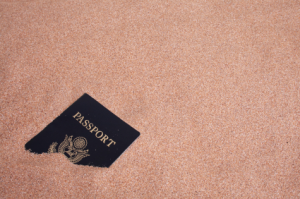 Did you lose your passport overseas? Losing your passport can be a terrible and frightening experience for anyone who travels internationally. However, there are American Consulates and Embassies that can help you obtain travel documentation. Following each of the key points below will help you to get your passport replaced, keep your identity intact and make sure that you are not stranded in a foreign country. 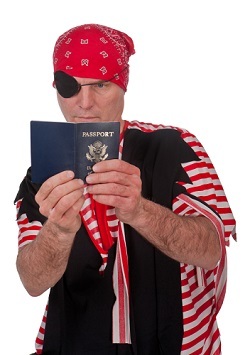 You cannot discover that your passport is lost/stolen/destroyed and wait to visit the consulate. Contact the closest consulate or embassy ASAP, they will instruct you on what to do next. It will most likely involve paying the consulate or embassy a visit as it is the only way for you to take care of your passport problem. You must inform the consulate that your passport was lost as soon as possible so that anyone who travels under your lost passport does not invalidate your claim. They will want new passport pictures and for you to fill out a new application (fill out the passport application there under their guidance). Find a list of American Consulates and Embassies Here. When you visit the consulate, it will take time to get your passport replaced (temporary passports can be issued by a consulate or embassy). You must remember that keeping in touch with the consulate or embassy makes your situation much easier to handle. You cannot expect to replace your passport immediately, but you can expect to talk to the consulate about what is happening with your passport application. Give them current contact and hotel information, they need to know where you are, what you are doing and how long you plan to stay in the country. Go back to the embassy or consulate when they are ready to issue you a new passport. While this can be a tedious process going back and forth, it is better than being stuck overseas. You need to make sure you that use your passport to get out of the country as soon as you receive it. When you lose your passport, you have the chance to make the correct choices very quickly. However, don’t wait! You must follow the proper steps and act quickly. Don’t panic, American Consulates and Embassies deal with these situations every day, follow their instructions and you will be able to return home soon enough. Take the embassy phone number with you just in case something happens. You will need to access to their services in case of any “incidents”. When you call the consulate make sure you find out exactly how much you need to bring in order to pay for the replacement passport, find out their method of payment and prepare for it in advance. If you also lost your wallet or your credit cards, you should cancel those immediately. Find out from your bank if there is any way for you to get emergency cash in your country. The unfortunate reality of this situation is that losing either your credit cards (or access to cash) and your passport while overseas can be quite burdensome. Not only do you have to worry about getting your passport replaced but you need to cut off any opportunity for someone to steal your identity or make unauthorized transactions on your credit/ATM card. Many card companies will overnight cards to customers who are stuck in situations like this (even overseas).